Shell size to 25 cm; shell massive and heavy. Sculpture of three spiral rows of blunt spines. Parietal shield and outer lip salmon-pink, external surface pale-cream. Parietal shield triangular, with rounded corners. Aperture and interspaces between parietal shield lip teeth stained brown, interspaces between outer lip teeth sometimes stained brown. The species is rarely found on the beach on Sanibel and other barrier islands. 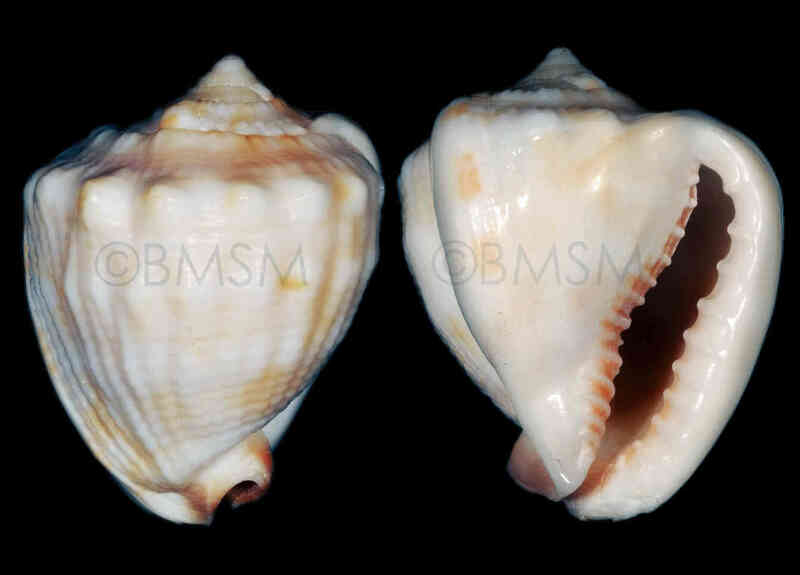 The shell illustrated is a juvenile collected by José H. Leal; it measures only 34 mm.